See more ideas using Game Night in our gallery here. Everybody loves to play a good game! 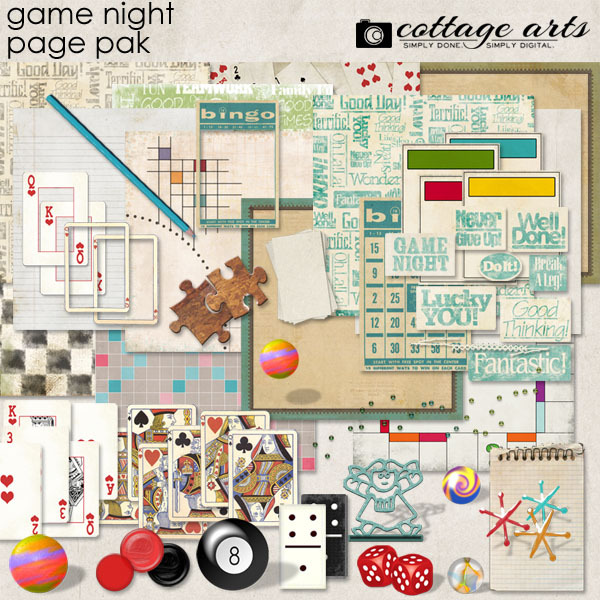 This Game Night Page Pak is wonderful for children and adults alike. 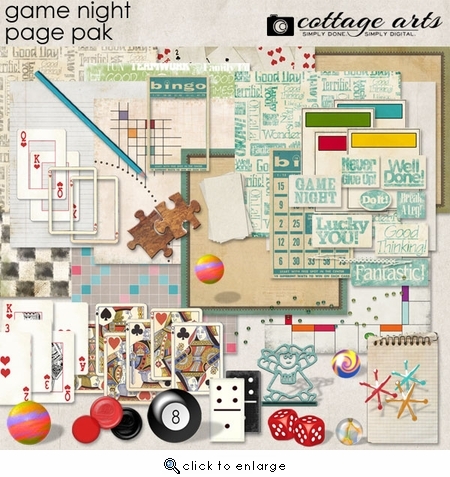 Includes 14 - 12x12 game board, textured solids, and subway word art grungy papers and a wide assortment of game elements, such as dominoes, jacks, playing cards, game chips, marbles, checkers, puzzle pieces, bingo card, pool ball, pencil, note pad, game cards and many more.